Photos and videos of wild birds found in the Philippines. We travel all over the Philippines to document and take pictures of birds. Our goal is to make this site a resource of information and images about wild birds of the Philippines. 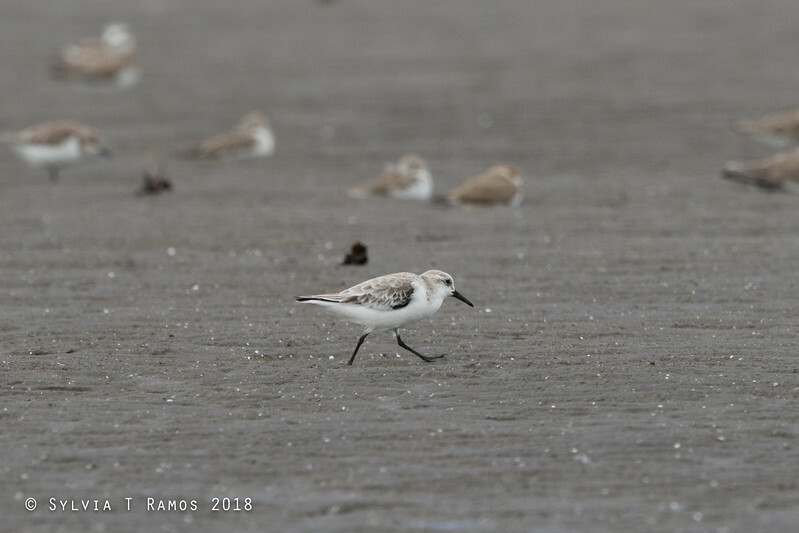 The Sanderling is an uncommon Philippine migrant. It measures 7 1/2 inches. When in breeding plumage, its chest, head, and back are rufous. We saw this bird running around near the immature Sooty Terns in the beach. The Sooty Terns chased it away. Robert B later saw it again along the water where it was looking for food in just the precise way that is described in the Kennedy guide, "running in and out with wave action at edge of water or on mud and exposed coral flats, alone or small groups". We have also since seen this bird in Pagudpud and Olango, Cebu.